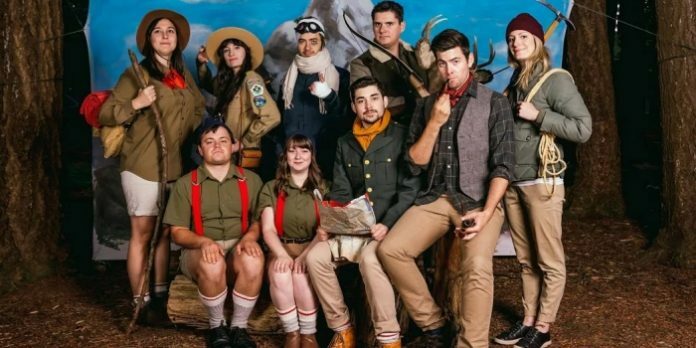 Some of Vancouver’s funniest are set to team up with international comedy stars at the 19th Annual Vancouver International Improv Festival (VIIF). Running since 1999, VIFF has become one of North America’s longest running improv festivals, showcasing hundreds of international and local performers before Vancouver audiences. The 2017 edition will feature over 40 performances and workshops, including an opening night gala celebrating Vancouver’s thriving improv scene. This year’s festival headliners include The Future from Philadelphia, and Broke Gravy from Portland. Vancouver groups such as Hip.Bang!, The Fictionals, Little Mountain Improv, and Sunday Service are also scheduled to appear. Among the other offerings comes from Edmonton’s Rapid Fire Theatre who will present TEDxRFT. Featuring performers Kory Mathewson and Julian Faid, the two begin by creating twenty slides for each other, and then must improvise a new Ted Talk each night based on an audience suggestion, all while justifying the images appearing on screen. “It’s an approachable show, because people come in with experiences watching presentations in their daily lives,” says Mathewson. “They are on the inside of the inside joke, and get to watch our reactions to each other’s performances”. The 2017 Vancouver International Improv Festival takes place at three venues on Granville Island from October 11-14. Shows run 7:30pm and 9:30pm every evening, with late-night shows hosted by the Vancouver TheatreSports League at The Improv Centre. Visit http://vancouverimprovfest.com for tickets and more information.